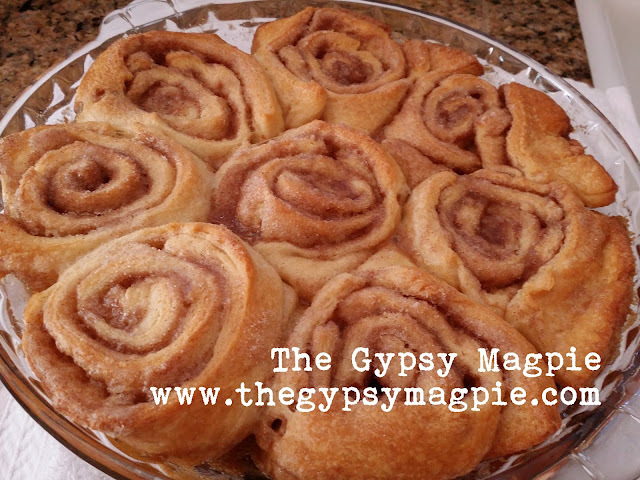 If you're looking for something sweet on the weekend for brunch, try these cheater Cinnamon Buns! The original recipe called for a glaze made from powdered sugar, vanilla and heavy cream but truth be told- I think you'd be in a diabetic coma from sweetness overload. These did not need any further embellishing as they were PLENTY sweet. The 'cheater' part is refrigerated crescent rolls. 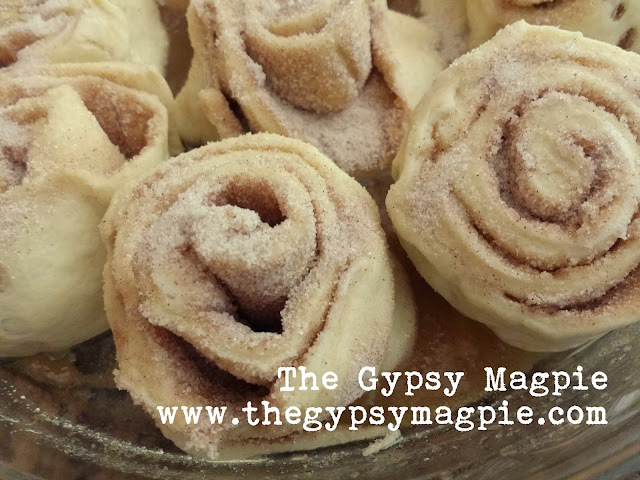 Sprinkle on some cinnamon & sugar, pop into the oven and in less time than it takes to make a pot of coffee and set the table, you've got cinnamon buns fresh from the oven! Melt half the butter in a glass pie plate; add brown sugar and stir to combine. Unroll the crescent dough and press the seams together. Spread with the remaining half of the butter. Combine cinnamon and sugar; sprinkle over buttered dough. 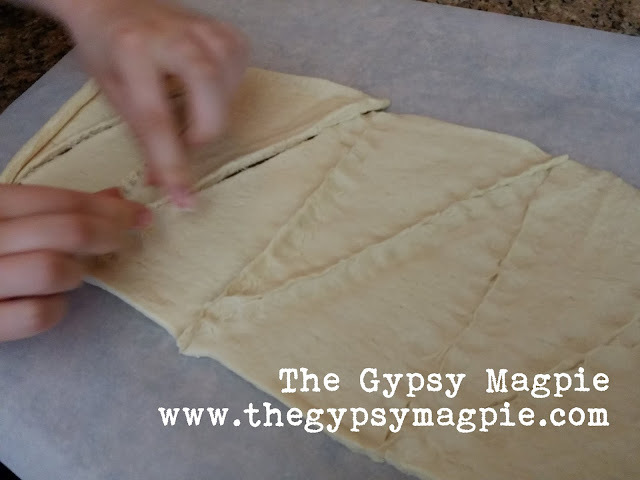 Roll into a tight 'log' and cut into 8 pieces. Place in buttered pie plate. Bake at 350 degrees for about 20 minutes. I just know they were good and sweet. Perfect for a lazy Sunday morning. Love your art, but I'm going to be fond of the recipes you post, too, it seems! I just found out recently that you can buy the crescent dough in a single piece. Who knew?? ?